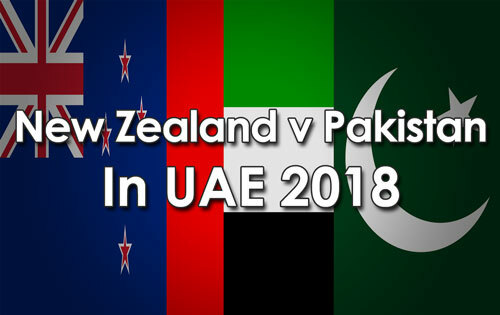 For the second day running in Abu Dhabi, Pakistan and New Zealand have been locked in a contest that could be best described as ‘war of attrition’. With the series hanging in balance, both teams have gone about their business, at a pace which is simply out of tune with the modern game. It might be absorbing and hard-fought for a generation that values Test cricket to this day but sadly unlikely to pull the crowd into the empty stadiums of UAE. Only last week in Dhaka, Bangladesh posted a total of 500plus and dismissed the West Indies team twice, to record its first ever innings win in Test, within three days. In sharp contrast, Abu Dhabi, after six session of play, only 413 runs have been scored in 177.1 overs and only 14 wickets claimed by the bowlers. Despite the pedestrian pace of the match thus far, there is enough time for a definite result in the match. New Zealand added another 45 runs to their overnight score of 229-7 to be bowled out for 274, 20 minutes before lunch, on the second morning. Off-spinner, Bilal Asif (5-65), picked up the last five wickets to fall in the innings watched by wicket-keeper B.J.Watling, who with decisive footwork and great deal of patience, remained unbeaten on 77 off 250 balls and 4 boundaries. Not for the first time in his career, Watling, passed the endurance test when the chips were down. After the early loss of openers to Trent Boult, both Azhar Ali and Haris Sohail, seemed quite at ease in timing and placing the ball, at more than 4 runs per over. Sadly they could not carry on for too long. Once the ball got softer at 30-over mark, the scoring rate dropped below two runs an over. Haris, caught behind cutting of Tim Southee, for 37 seemed well set to play another marathon knock. 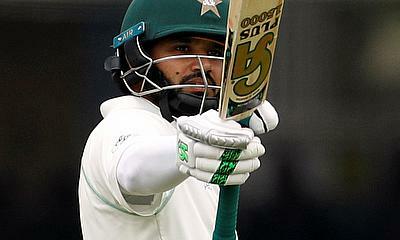 At close Pakistan 139 for 3, should be aiming to bat for another day and a half as two of its batting pillars – Azhar Ali (62 not out) and Asad Shafiq (26 not out) – are at the crease and set to add more to its unfinished 54-run stand for the 4th wicket. The retirement of opening batsman Mohammad Hafeez from Test cricket, is set to trigger a great sigh of relief amongst Pakistan cricket fans. A useful all-rounder, who often looked out of his depth, outside the Asian sub-continent, was set to be dropped from the upcoming tour of South Africa. On his return to the side against Australia last month, he hit his 10th Test hundred, only to follow it up with a horrid run, failing to go past 20 in last seven innings. His tame surrender against pace and inability to rise in crunch games, has been most frustrating. The quality of batting coming through Pakistan domestic cricket, does not bode well for the future as Inzamam-ul-Haq and co- selectors, head for brain storming session to pick a side for the next international challenge. Today Hafeez was dismissed for a duck, caught at second slip, pushing tentatively at Trent Boult, in the last over before lunch. That he made 55 Test appearances in a 15-year career was largely for the fact that he gave the side an extra bowling option, particularly when Misbah-ul-Haq was in charge of the national side. With three days still go in the Abu Dhabi Test, it will be great to see Hafeez, play a role in Pakistan securing the series. Still quite fit at 38, he should continue to play a key role in the limited overs cricket, if his bowling action is not questioned for the umpteenth time, ever since 2005.